Place the coconut milk, ¼ cup of the curry paste, 1 tablespoon of the lime juice, salt and pepper in a large bowl and mix to combine. Add the lamb and toss to coat. Set aside to marinate for 15 minutes. While the lamb is marinating, place the oil, sugar, the remaining curry paste and lime juice in a large bowl and whisk to combine. Add the sugar snap peas, beans, onion and basil and gently toss to coat. Set aside. Preheat a char-grill pan over medium heat. Cook the lamb, in batches, for 4 minutes each side or until charred and just cooked through. 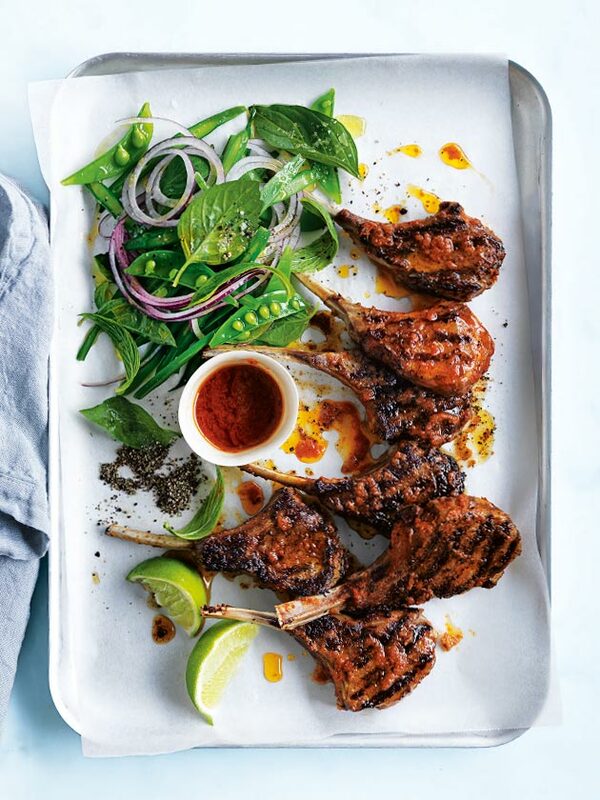 Serve the lamb with the salad and lime wedges. Serves 4.